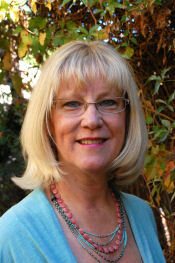 Margo Covington welcomes you to Covington Consulting - 31 Years! ...Through finding value in unexpected places... where “wastes” can be turned into profits. * Economic Development toward Infinity - Energized by Zero Waste = Waste-As-Value - WAV-Links The US Gross Domestic Product is based on only 6% product. 94% is waste or unintended product. In economic hard times, we can invent new businesses whose profits come from materials diverted from the landfill... "recycling to infinity." Communities like Los Angeles, CA and Albuquerque, NM have goals of Zero Waste by the year 2030. Imagine closing all landfills by 2030! How can we collaborate to face these challenges, drive the solutions to those challenges, and even thrive? *At a Glance: Who, What, Why, How For a summary of who may find our assistance helpful, what we can help you accomplish, how we partner to do it, what tools we can choose from, and how you may benefit from the work. Are You Throwing Away Your Profits? When you want to increase your profits, reduce your risk and ... help restore the environment - all at the same time. Complex or "Out of Control" Problems When your group is faced with complex conditions that are difficult to sort-out. Death by Meeting When your group just can´t seem to "get off the dime" and have productive meetings. Higher Energy or Other Costs When your energy bills are going sky-high, or, you know there are - or must be - solutions out there you can use… but how? Increasing Regulations and Requirements When governmental regulations increase, businesses are faced with increasing costs for compliance and reporting. Lowered Budgets When your group's budgets are tight and/or shrinking. Overwhelm / Crisis When you're just stymied about how to proceed from here. Program Management When your organization wants to outsource management for an ongoing program, or a shorter-term project. Reactive Activities Rather Than Proactive When your group is in "ready, fire, aim" mode. Stakeholder Involvement Is Called For When you must take a broader look at who is a stakeholder. Team Work Could Be Better When groups are facing challenges of "going different directions", discord among stakeholders, or unclear resource coordination to name a few. Technical Solutions Not Being Fully Utilized When you have a technical solution or just KNOW there are solutions "out there", but you're not implementing them as well as you'd like. Unaligned Long-Term Plans When you need strategic planning, particularly if you want it tied into a full planning cycle. Uncoordinated Activities & Projects When groups want to optimize their activities over 6 months to a year. AWARD January 28, 2010: In recognition of twenty years of dedicated leadership, direct participation in the NMSBDC Network Quality effort, and your continued efforts in moving New Mexico forward in sustainable business practices. "I was part of a strategic planning session with the IDEAL-NM team, coordinated by Margo. I have attended a number of similar events, but never have I been as impressed with a facilitator as I was with Margo. Her ability to maintain the group focus on the task at hand while enabling multiple trains of thought are inspirational. Her performance, and that of the group under her guidance, was so impressive that I have recommended her firm for another similar project."